A residential customer in Winchester had a roof leak in the winter of 2015 and damage their living room windows. These windows were custom built – each weigh over 100 lbs. 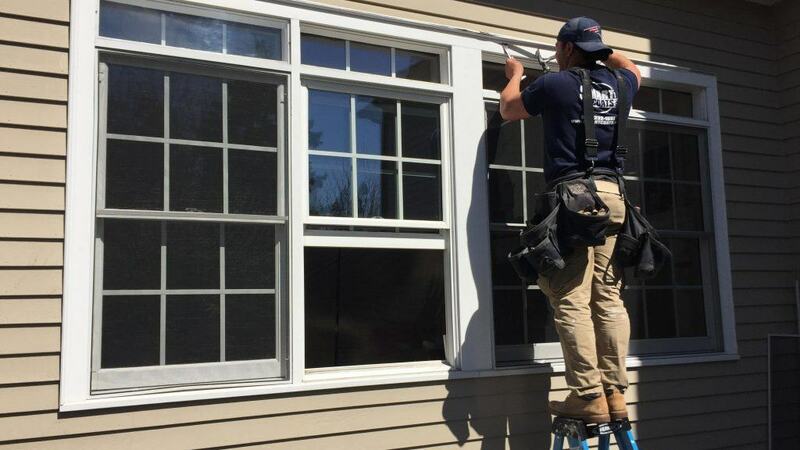 Smart Coats was hired to remove them and install new Anderson windows. We were able to order and install these windows by working directly with the manufacturer. Even though the initial windows we received were incorrectly designed, the manufacturer corrected their mistake and Smart Coats came back to finish the job. In addition to the windows, we also replaced the roof above and the copper gutters. The home is weather tight!